You would be hard pressed to find a beach in Abel Tasman National Park without oystercatchers. If we had to pick a bird as an icon of this national park, a bird that conveyed the spirit of the coastal environment, perhaps this would be the one. These fascinating birds came to my attention again the other day as Project Janszoon was searching for species suitable for educational programmes, particularly with visiting school parties. 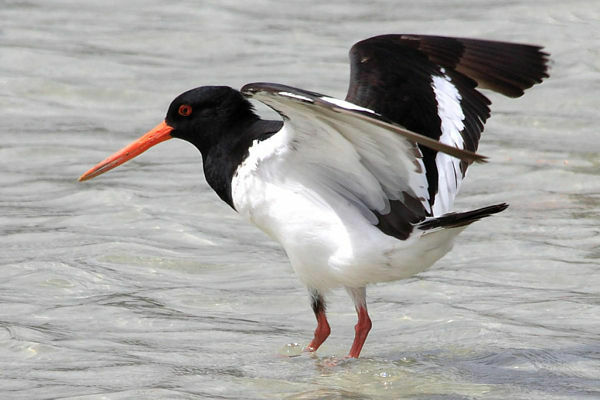 The characteristics that make oystercatchers so suitable for school children also apply for any visitors with half an interest in the natural world. And what we learn about oystercatchers while in the park can provide a good start to learning more and asking more questions as we encounter them elsewhere in New Zealand. 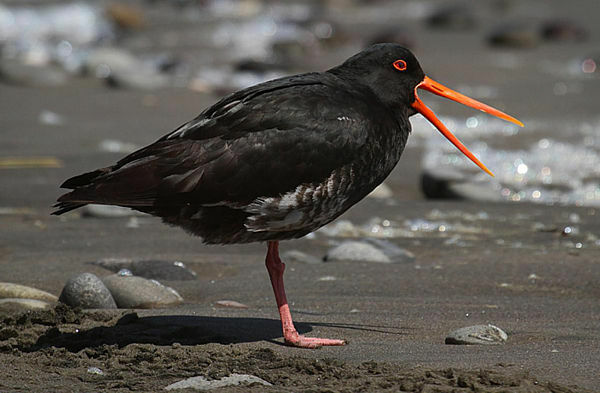 Oystercatchers are found world-wide in temperate climates and there are two species present in mainland NZ. Learn to tell the difference. The South Island pied oystercatcher (SIPO) will usually be found in a flock and has a strongly contrasting plumage pattern.It is also smaller than the variable oystercatcher (VOC) which is invariably all black in this part of the country. The VOCs are resident all year and breed locally whereas the SIPO use Abel Tasman as a wintering ground and then the adults migrate south to breed during the summer. The VOCs are more inclined to forage on rocky shores whereas the SIPO is more restricted to feeding in soft inter-tidal sediments. Both are forced out of their feeding grounds at high tide and will roost on a sand bar or elsewhere above the tide. After heavy rain both species are attracted to flooded pasture and a feed of earthworms. Both species have become more numerous in recent years despite their nests being vulnerable to floods, high tides, predation and disturbance. This trend is apparent in the Nelson region as well as nationally. 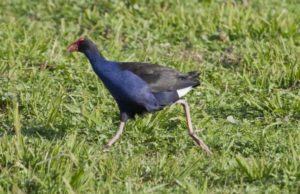 Some beautiful photographs are available on New Zealand Birds Online as are audio links to their calls. Listen to the calls and its not hard to imagine a day on the beach anywhere in the park. A wonderful description of both species and their life habits in given in Keith Woodley’s book Shorebirds of New Zealand.